The child learner (6 to 12 yrs) who is either a self-actuated youngster or being prompted by family and educators to "give it a go"
The mature adult who is either returning to or committing to an endeavor of self-fulfillment for leisure and relaxation or a personal goal. In any case one thing is sure. Only very highly intrinsically motivated, gifted and talented people can get higher than reasonable results without some kind of guidance. Personally I am, alas, just a regular guy, a mere mortal. I'm not one of those highly motivated gifted and talented people but... what I am very good at is getting measurable results from people who never thought they could achieve what they are achieving. I am good at this because I know what it is like to struggle along the way on the road to progress. I know what it's like to need guidance. If you can count to twelve...If you can say the alphabet from A to G... If you can clap the rhythm to a simple tune like Happy Birthday... If you can hold a pencil between your thumb and any finger... then you can play guitar. I know I can help you. 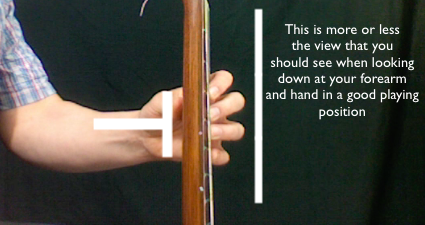 Have a look at this video about basic left hand posture. We can see in the video something that looks rather simple and straightforward. However you may find that when you try these ideas out either on yourself or a child things can seem trickier. This is normal. It is nothing to panic about. If these hand positions feel unnatural try not to worry and don’t quit. Just give it a rest and come back later and try again. We tend to look at a physical action in sport or music and see something that may look to us to be easy. This is the unconscious incompetence phase. It looks like anyone could do it. Then we try ourselves and realize it is harder than it looks. This is the conscious incompetence stage. We realize we can’t "just do it". After awhile, we can with concentration, do the action ourselves in a proficient enough way. We have reached the conscious competence part of our journey. Finally, eventually we reach the point of "second nature” or unconscious competence. We can at last do the thing, the action; swim, cycle, drive, flip, play guitar, sail a boat… without thinking about it. It is at this point where we begin to find it more difficult to explain to others how we are doing what we are doing. We can "just do it". Remember to keep it simple. Try to resist the temptation to do what we want to do naturally when holding an object as large as a guitar neck. It is not about gripping it is about control muscles. Think of the neck as a big pencil. All other postures will become available from this kind of relaxed light fingered approach. If you are careful, methodical and patient you will be surprised at how quickly you can graduate from the category of beginners guitar lessons to intermediate and eventually advanced. Perseverance is a virtue! For excellent, very detailed information about classical style sitting posture and the mechanics of efficient movement have a look at the brilliant Bill Kanengiser's lecture about technique on youtube. It always saves me time and most of the time it saves me money and its absolutely free and safe to use enter invite code 52580 ! 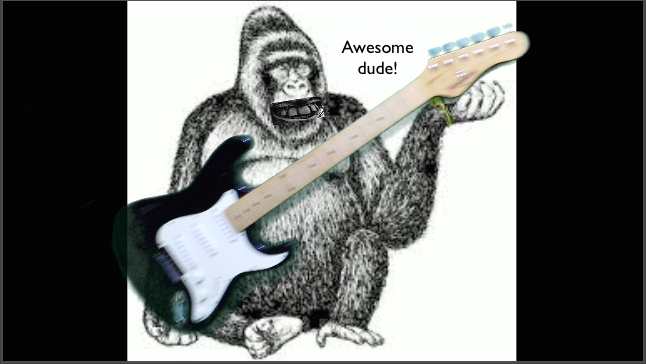 Stay tuned for more beginners guitar lessons as this site grows. Next we will cover right hand postures and techniques as well as more detail about sitting styles. Happy Playing folks! If you are in the United Kingdom West Midlands and would like more local information about music lessons and education services try the iWest Midlands website.